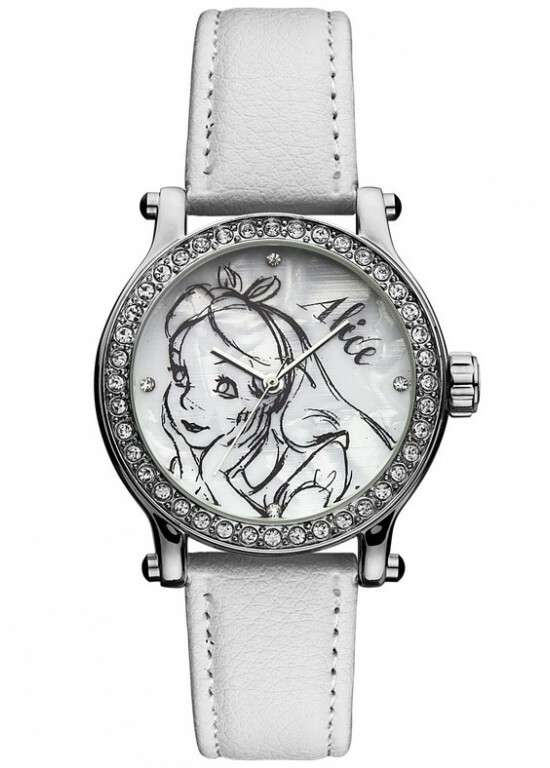 DISNEY IND-26534 is a Ladies watch within the Ingersoll Wrist Art, part of the Alice Series. This watch has a Round Polished Finish Metal case with a 40mm case diameter. The case back is Polished Finish Metal and the bezel material is Polished Finish Metal with Glittering Diamantes. This timepiece also has Quartz movement with 3 Hand functionality. This Analog White dial features Crystal Hour markers with Silver Stick hands. A Glass crystal protects this DISNEY IND-26534 timepiece. The bracelet of this DISNEY IND-26534 is made of Soft Polyurethane Eco Leather Strap.